ARLINGTON, VA -- Today in Iowa, Senator Sam Brownback (R-KS) endorsed John McCain for President of the United States. Senator Brownback will serve as a General Co-Chair of the campaign as well as Chair of the newly formed McCain Judicial Advisory Team. Senator Brownback will join John McCain in a campaign swing today through Iowa and Michigan, making stops in Dubuque, Des Moines, Sioux City and Grand Rapids, Michigan. "Today I am proud to endorse my friend and a true American hero, John McCain, for President of the United States. While I respect all of the Republicans running for president this year, John McCain is the only candidate who can rally the Reagan coalition of conservatives, Independents, and conservative Democrats needed to defeat Hillary Clinton or any other Democrat in the general election next year. John McCain has spent a lifetime standing up for human rights around the world, including a consistent 24-year pro-life record of protecting the rights of the unborn. John McCain alone has the courage, leadership and character to lead our party to victory in 2008 while keeping faith with our most cherished values -- life, faith and family." 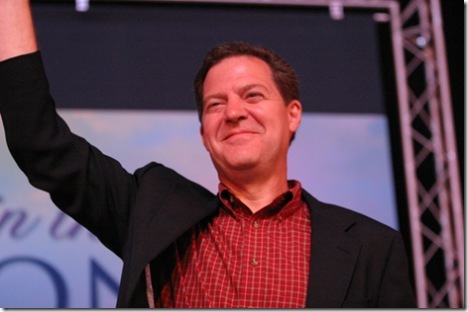 "I am deeply honored to receive the support of my friend Senator Sam Brownback. Sam Brownback is a man of faith and compassion whose integrity and unwavering commitment to protecting the dignity of human life, both born and unborn, has been an inspiration to me. We Republicans must stand firm in our deepest principles to rally the conservative Reagan coalition and win a great victory next November. Sam Brownback's counsel and friendship will be invaluable as we work to achieve this worthy goal, and I thank him for his support." ARLINGTON, VA -- Today, Senator Sam Brownback (R-KS) will endorse John McCain for president in Iowa and travel with him around the Hawkeye State. DES MOINES – The Brownback for President campaign, which carries no debt, raised $925,745.22 in the third quarter of 2007 and is eligible for at least $2.1 million in federal matching funds. To date the campaign has total receipts of just over $4.2 million. "With a crowded field and an entire month during which Senator Brownback campaigned in Iowa without holding fundraising events, we are pleased with the level of support for Senator Brownback's message," said John Rankin, spokesman for Brownback for President. "We have always expected to run a grassroots campaign and to make the most of limited resources. The option of over $2 million in federal matching funds would provide additional support as we move forward." DURHAM, NH - United States Senator and Republican presidential candidate Sam Brownback presented a balanced and principled conservative agenda in this evening's debate. This performance underscores Brownback's position of uniting the Republican Party's social and fiscal conservative wings. On rebuilding the family: "I'm running saying that the lead thing we need to do is rebuild the family in this country. And I think we need to be clear about our efforts and willingness to do that. ... We shouldn't walk away from family values. And if we're going to solve problems of education, crime, what's taking place in some of our areas where we're not getting the growth, we've got to rebuild the family." On supporting a constitutional amendment defending marriage as a man and a woman: "When you do these vast, social experiments -- and that's what this is, when you redefine marriage -- it's a vast, social experiment. They're not done in isolation. They impact the rest of the culture around you. When you take the sacredness out of marriage, you will drive the marriage rates down." On committing to a durable solution in Iraq: "You've got the military that has made a number of progressive steps, particularly in the west -- Al Anbar Province -- they've made progress. But we don't have a political solution on the ground that works in Iraq. Iraq is less a country than it is three groups held together by exterior forces. It's the Kurds in the north, the Sunni in the west, the Shia in the south, and a mixed city in Baghdad... I think we need to recognize that reality. We ought to now push for establishment of a Sunni state in the West. Still one country -- still one country, but separate states. That's a political solution that you can take advantage of what the military has done on the ground. That's what we need to do to move forward now." On keeping taxes low, protecting free enterprise and his decision to sign the 'No New Tax' pledge: "I think it's not just a pledge to a group that has it. I think it's a pledge to the American public. We're already taxed to the max. In most states, you're working until about the middle of May to pay your taxes. It is too long. You're working too much for the government, and you need to be working more for yourself. And I've pushed these topics based on I think we need to grow the economy, plus I'd like to be able to see families keep more of their money so that possibly maybe one of them doesn't have to go to work instead of both having to go to work, if more families could keep more of their money instead of it going to the government." On the United States leadership in confronting Iran: "You have to also recognize that the founder of the current Iranian regime, Ayatollah Khomeini, said, if we destroy Israel, Allah will reward us. That was his stated policy. That is something that he stated. I think you have to take the factual setting of what you put forward, take it to the American public and to the Congress, and ask for the authority to use military force for two purposes. Number one purpose is to go after the military forces being developed on the ground and trained on the ground in Iran to attack our people in Iraq, and number two, towards the nuclear weapons development program that the Iranians are working on." Brownback's balanced conservative approach to the challenges facing our nation is the formula for Republican victory in 2008. DES MOINES – U.S. Senator Sam Brownback today announced that State Senator Nancy Boettger of Harlan, a 13-year veteran legislator, has endorsed his presidential campaign. "As a farmer, I know that Senator Brownback understands the economic issues and social values of the agricultural community," said Boettger. 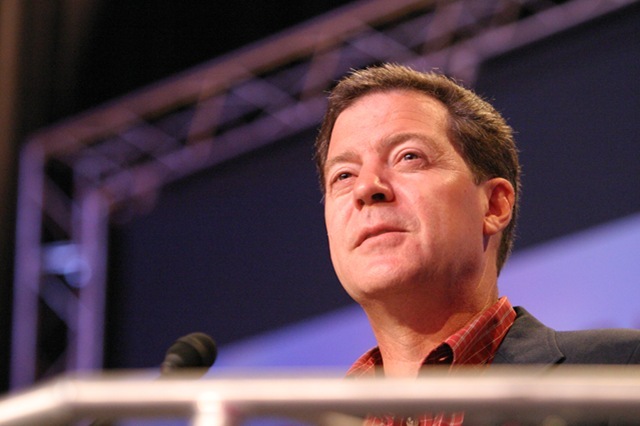 "Senator Brownback grew up on a farm in Kansas, was the youngest state secretary of agriculture in Kansas history, and learned from a young age the Midwestern values he shares with Iowa." Boettger added: "As a former educator, I know the importance of Sunday school values in our children's lives. 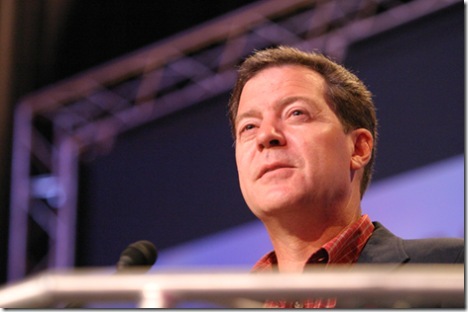 Senator Brownback proudly invites God back into our schools and public square, and he knows we must get the basics right to secure a prosperous future for our children and our grandchildren." Brownback has also been endorsed by Iowa State Senator Mark Zieman of Postville. "I am honored to welcome the support of State Senator Nancy Boettger, a principled, accomplished woman with roots in America's Heartland and a strong background in Iowa's agriculture and education communities," said Brownback. "I am humbled that she will help me bring our shared Midwestern values to the White House." DES MOINES - The Brownback for President campaign today announced the Iowa Pastors for Brownback Advisory Council. "As I have campaigned across Iowa, I have appreciated the input and support of pastors and ministry leaders across the state," said Brownback. "Faith leaders serve the day-to-day physical, emotional and spiritual needs of their community. I value their thoughts and prayers, and I feel privileged and humbled that pastors would find my campaign and issues to be worthy of their support. Our nation was founded on the fundamental principle of 'In God We Trust,' and I will continue to promote a government that respects life, family and the role of faith in the public square." Note: Each member supports Brownback in his or her personal capacity; church and ministry names are included for identification purposes only. Brownback recently launched several coalitions: Faith and Values, Catholics, Vietnamese, Taxpayers and Moms for Brownback to build grassroots support for the Ames Straw Poll on August 11.